Gumboo Bear Hair Vitamins help hair growth through a vitamin-based, natural ingredient formula. The recipe includes vitamins such as Biotin, known to support hair growth. Glendale, CA – There are many hair growth serums, powders, and gummies out on the market today. Gumboo Bear attempts to stand out from their competition through their guarantees. First, they use 100% natural and organic ingredients. Their products are all free of chemicals, additives, and preservatives. Next, their natural gummy hair vitamins have no artificial colors nor flavors. The only flavoring comes from natural fruit juice. Their gummy bear hair vitamin product is friendly towards those with dietary specifications. It is safe for those suffering from celiac and those following a gluten-free diet. The product is also completely vegan. This means that there is no gelatin, which is common in gummies, no dairy, and no meat products. 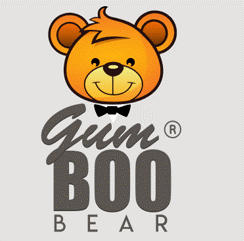 Gumboo Bear ensures that all their products are cruelty-free. Aside from being extremely environmentally friendly and accessible to everyone, these natural gummy hair vitamins boast amazing benefits. The formula includes vitamins such as Folic Acid, Vitamin C, A, E, B5, and Zinc. These Gumboo Bear natural hair vitamins take care of a few of the required daily dietary vitamins. The gummy bear hair vitamin should be taken once daily, with two vitamins ingested every time. The product’s benefits extend from the hair to cover the nails and skin as well, owing to the inclusion of Biotin and the mixture of natural ingredients the formula uses. The product is perfect for those looking to grow their nails and hair in a natural way. Gumboo Bear is a product that does not discriminate. It is suitable for everyone: men, women, and teenagers. The gummy bear hair vitamins are made in Canada and can be shipped worldwide. They can be ordered online easily via the company’s website. These hair vitamins can be ordered in different packages. There is a monthly subscription, or different monthly amounts for customers looking to test out the product before committing fully. The gummy hair vitamins can also be purchased as gifts for the holiday season (with Valentine’s Day coming up). The website provides detailed information about the product and its benefits, as well as how to purchase the vitamins. If customers have more specific questions, the company’s customer advisors are happy to answer queries via a phone call or an email.